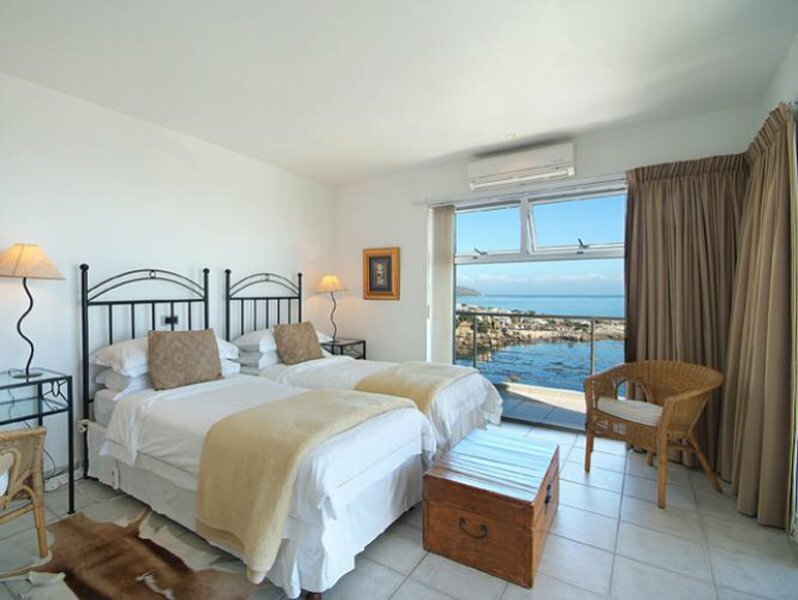 The Penthouse Apartment is Premier Accommodation. 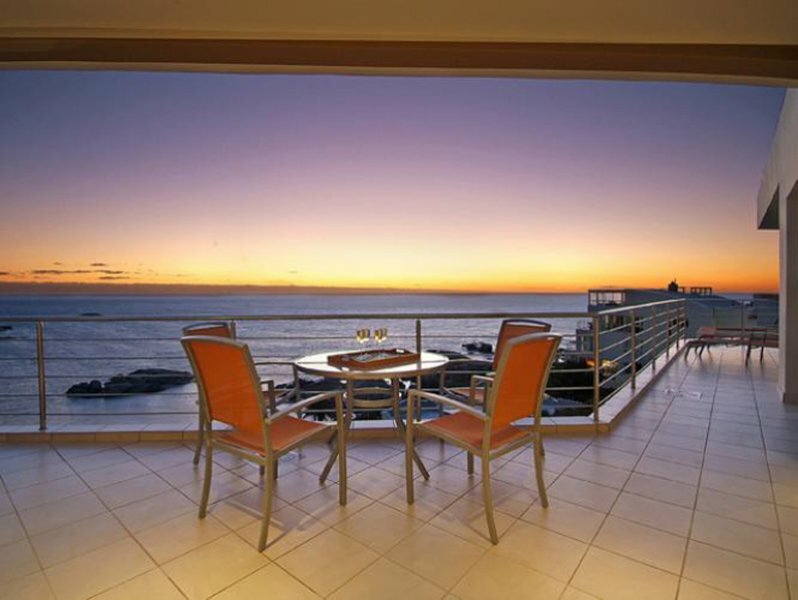 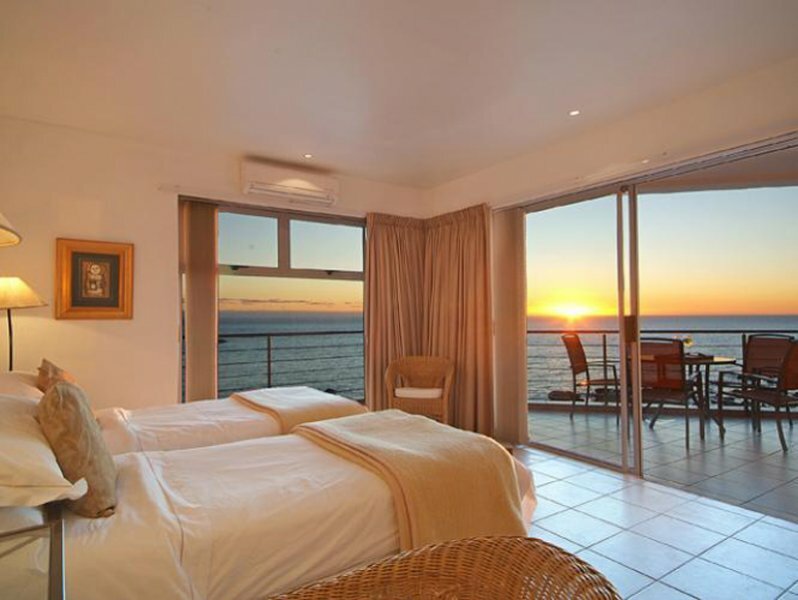 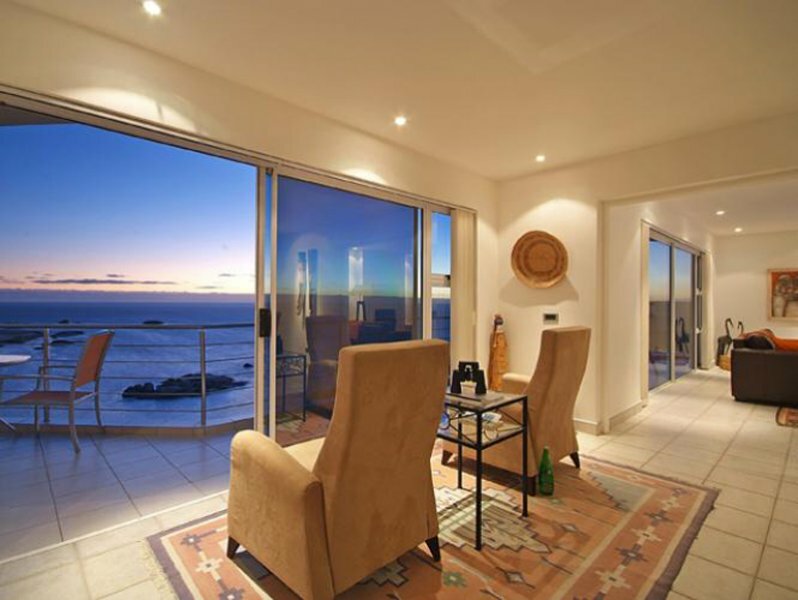 Come and treat yourself to absolute luxury with spectacular views of the Twelve Apostles and the Atlantic Ocean. 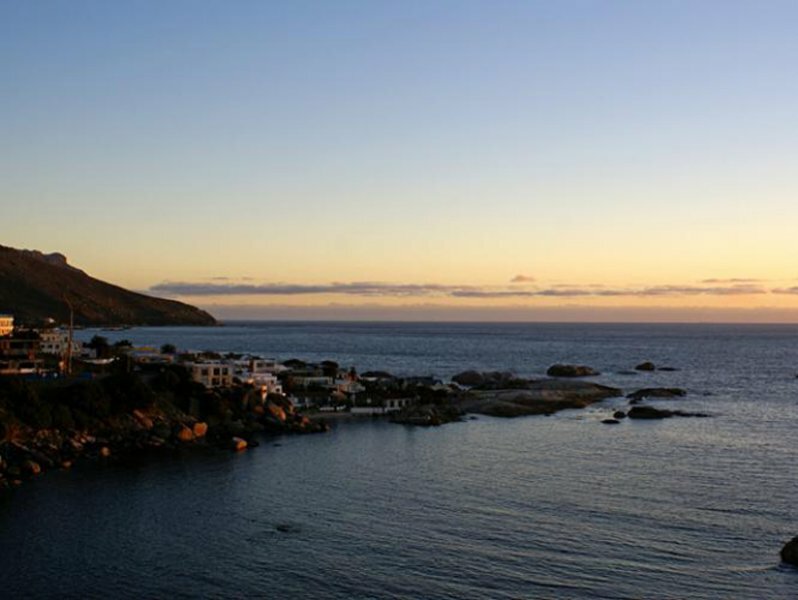 During the day the sun beats down on the terrace, and the rays glisten off the sea; at night the crescent of lights around the bay creates a delightful and sophisticated ambience. 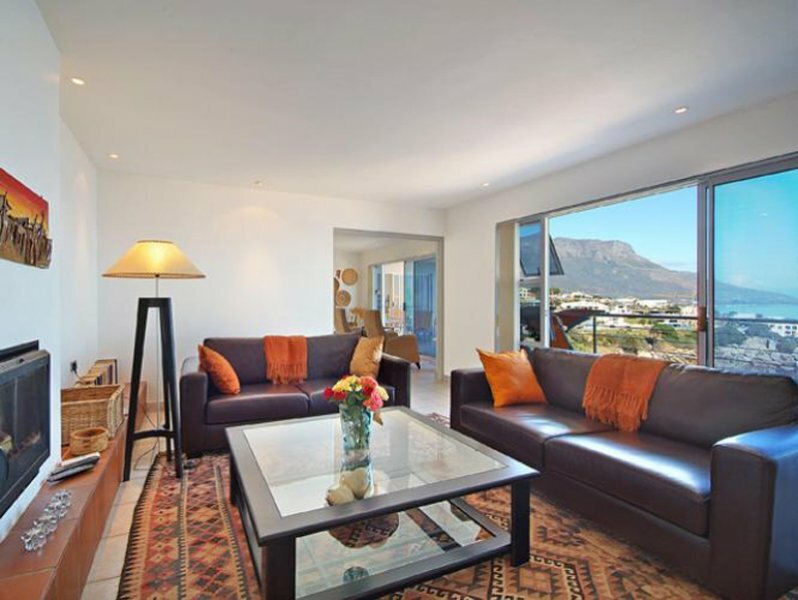 The apartment is very spacious and has two bedrooms (both with en-suite bathrooms), a lounge, a dining room and a kitchen. 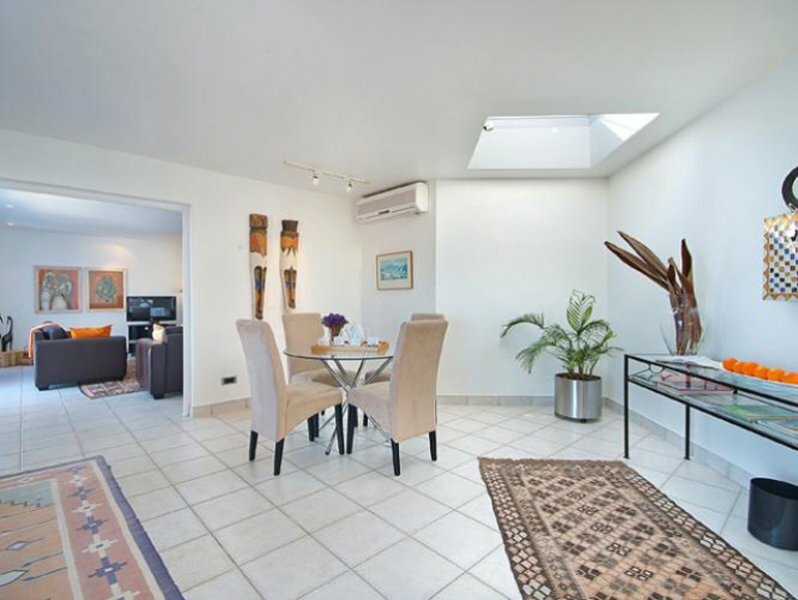 All living rooms open onto a large terrace with a plunge pool. 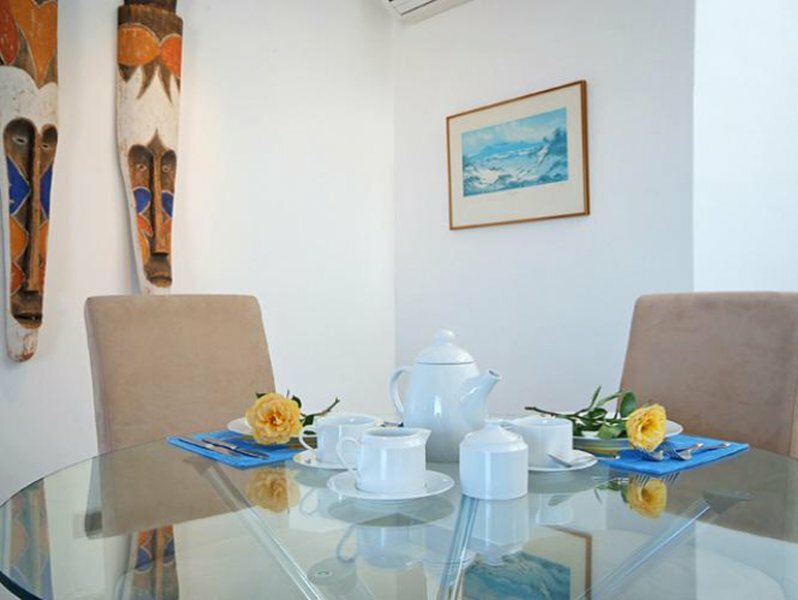 The décor is a unique blend of Modern and African. 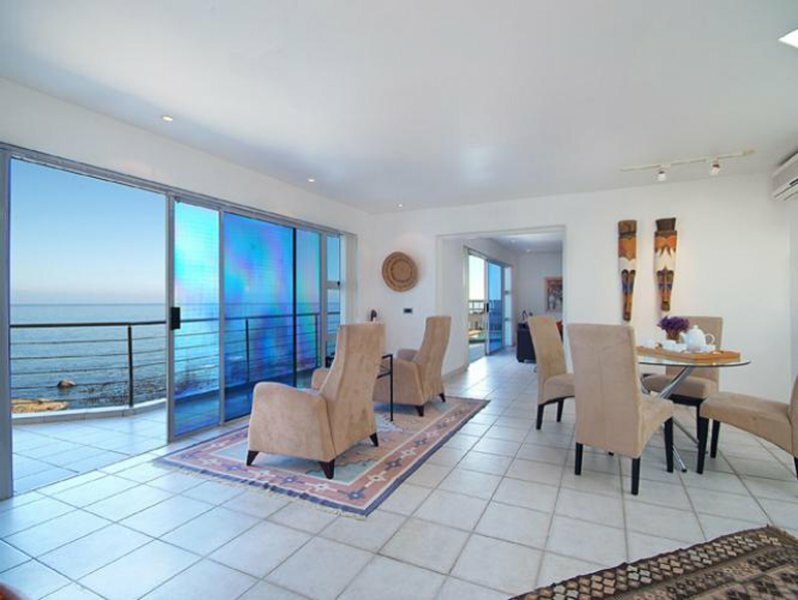 Stainless steel and clean lines combine with masks, carvings and other African artefacts from Zimbabwe, Zambia, Mozambique, South Africa and further afield to give this property a special and ethnic feel. 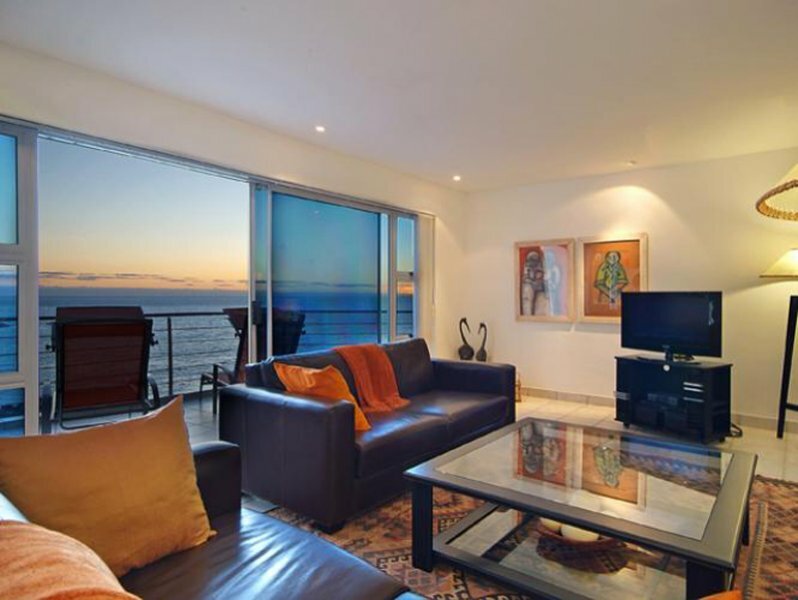 You can curl up in front of the satellite TV or just collapse onto the comfortable sofas to enjoy your latest book. 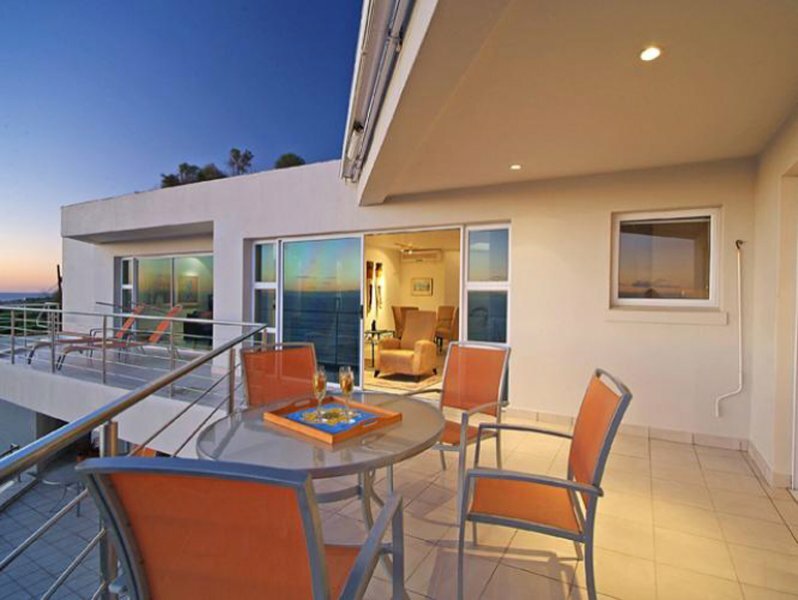 If you’d prefer to go out and be entertained, the Camps Bay beach and promenade are only four minutes stroll away, with numerous restaurants, bars, live music and theatre. 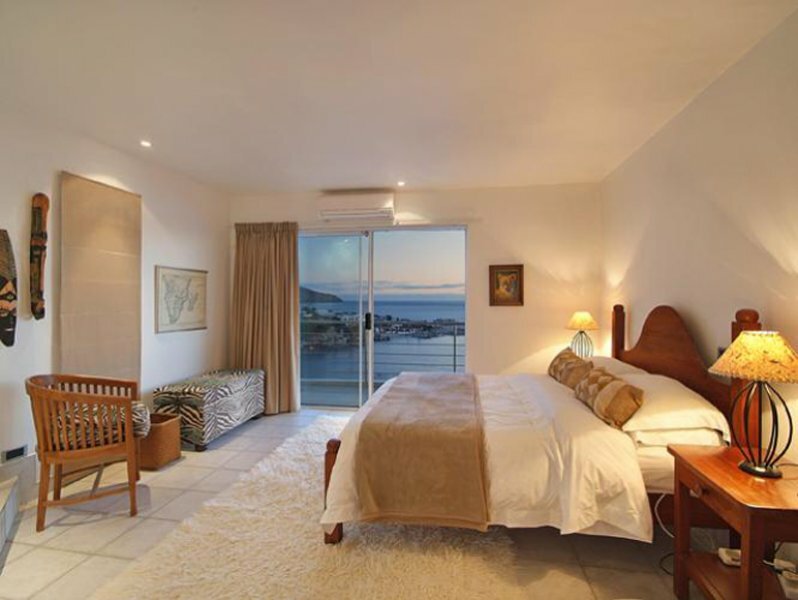 To ensure that your stay is as relaxing as possible we will service your apartment everyday except Sundays and Public Holidays, and help you wherever we can with other arrangements. 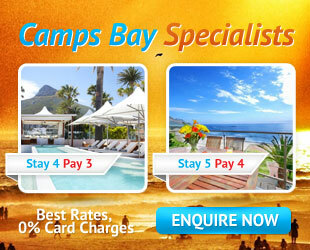 Come and unwind in Camps Bay! 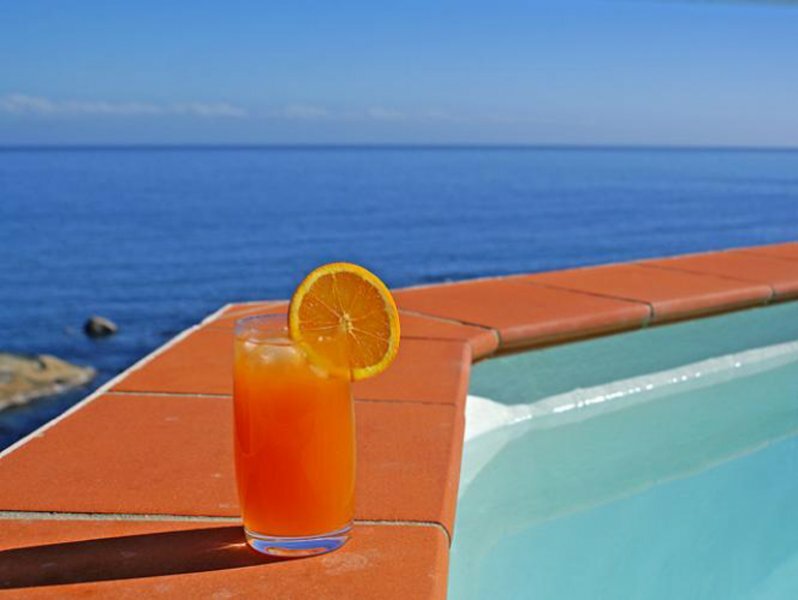 We look forward to having you join us!